I discovered an adorable little shop earlier this week as I wandered the streets of downtown New Smyrna Beach, Florida (Just south of Daytona Beach). “Julie’s” is situated right on Canal Street on the backside of the building facing the street (231 Canal Street). If you aren’t paying attention, it is easy to walk on by without noticing the small sign directing you to turn off the street. 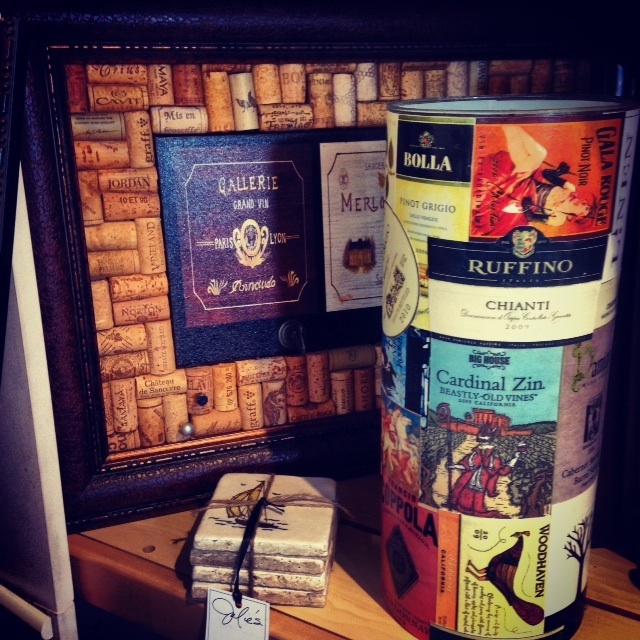 However, you won’t want to miss this gem of a wine enthusiasts’ gift shop. 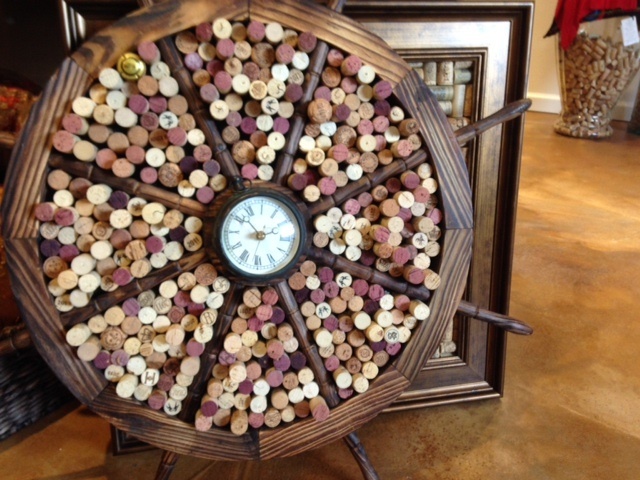 Julie is very talented in the “recycling” of corks and labels for more creative uses. 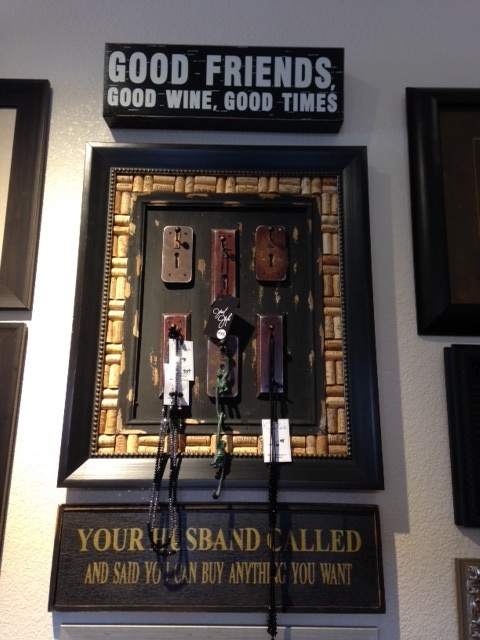 I found all sorts of wine-themed decorative and practical gifts scattered throughout her store. 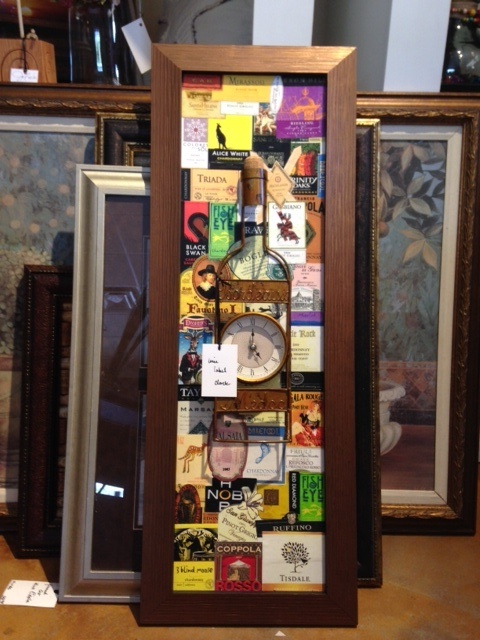 It seems as though she “specializes” in the perfect original gift for the wine lover who has everything. Because Julie is currently in the process of building her website, it is hard to find her on the web. I do recommend a trip over to her store in New Smyrna Beach, if you are in the area. 231 Canal Street–Downtown. 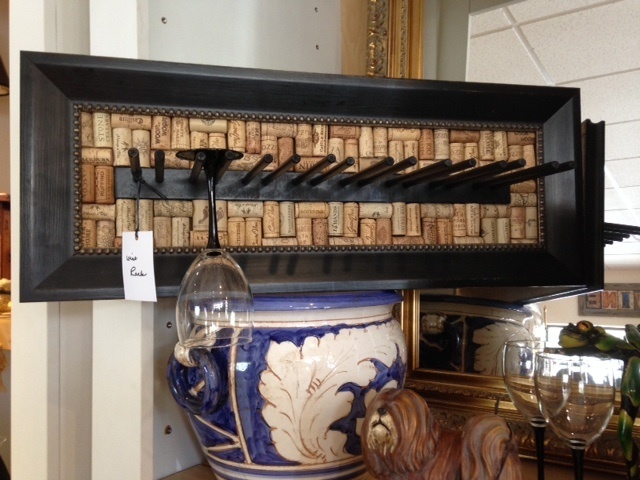 If you aren’t sure of her daily hours, and would like to check before you head over, the store number is: 386-428-0426. Again, as I always like to say: Support Small Businesses; Shop local.